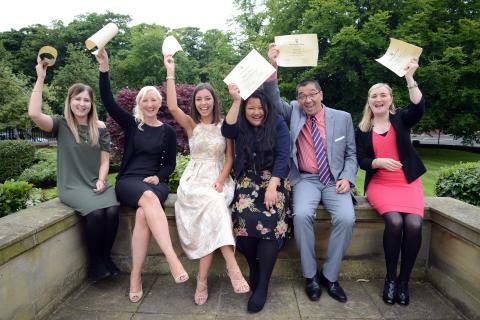 Six nursing and midwifery students from Northumbria University have received prestigious awards for their efforts whilst training to join the profession. 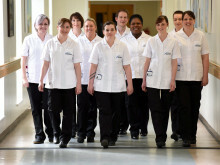 Students undertaking nursing and midwifery degrees at Northumbria University spend half of their time at the University, and the other half of their time on placement in hospitals and health trusts across the region, where they are able to put their new-found skills into practice. 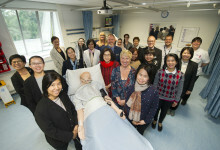 The Heath Award, which was established in 1892 by George Yeoman Heath, former President of the Royal College of Medicine, is presented each year to the best nurses graduating from Northumbria University’s nursing courses. 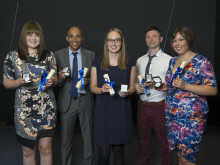 The winners were chosen after being nominated by their tutors and hospital staff who they worked with whilst on placement. 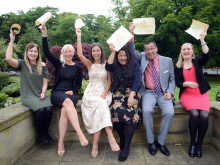 The 2016 Heath Awards were given to midwife Vicky McNally from Gosforth; adult nurses Tracy Morris and Garry Uy from Houghton-le-Spring and Prudhoe respectively; child nurse Alexandra Marvel from Manchester; Rholynn Jacinto from Newcastle who specialises in learning disability nursing; and mental health nurse Jessica Robinson from Seaton Sluice. 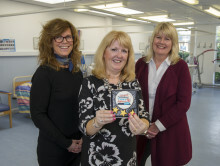 Speaking about her time at university, Vicky McNally said: “Midwifery was something I wanted to do when I was at school, however, none of my family went to university, so it wasn’t the norm. I went down the route of getting a job but after my first son was born I started to think that midwifery was the career for me. 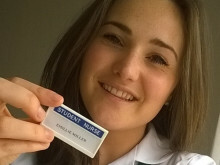 Vicky is now a qualified midwife working at the Royal Victoria Infirmary’s maternity unit. Fellow award winner Garry Uy decided to study nursing after moving to Prudhoe, Gateshead, from the Philippines with his wife, who is also a nurse and had a job in the UK. 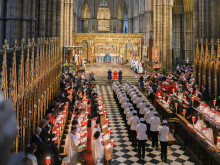 Although he already had a degree in Computer Science from his home country, he had to go back to college and study for a UK-recognised degree, which he managed while looking after his young son. Garry secured a job as soon as he graduated and is now working in the Royal Victoria Infirmary’s operating theatres where he cares for patients undergoing and recovering from anaesthesia. 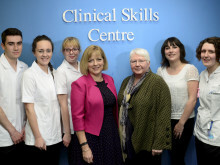 The students were presented with their awards at a special ceremony by Professor Dame Betty Kershaw, the former President of the Royal College of Nursing, in Newcastle’s Royal Victoria Infirmary. 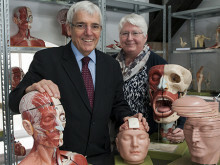 Northumbria University’s nursing and midwifery courses are ranked 15th in the UK according to The Guardian University Guide 2017 and were the first in the country to be accredited by the Royal College of Nursing.